Among many other health and physical benefits of yoga, this physical activity also relieves asthma. Most asthma patients cannot exercise properly because they find intense physical activity to be challenging and burdensome. Luckily, there are certain yoga poses that are great when it comes to lowering the impact of asthma symptoms. Sit on a mat and keep your back straight. Both hands should rest on your knees, but make sure that your palms face the sky. Inhale deeply and then exhale slowly. While exhaling, pull your stomach by bringing the navel area as close to the spine as possible. You can keep your eyes closed during the entire pose. Also, you could place your right hand on the abdomen for a better abdominal muscle control. Repeat these breaths for at least 20 times. This bending asana will open up your lungs and it will provide a natural asthma relief. Stand up, keeping your legs a little bit apart to create the perfect alignment between your feet and your shoulders. Our recommendation is to bend your knees a little to avoid any lower back strains. Grab each elbow with your opposite hand while letting your entire upper body hang. Maintain this pose for five deep and slow breaths. You should keep your eyes closed during the entire asana. Sit on a mat with your feet soles pressed together, one against the other. Drop both knees out, keeping them as far away from your soles as possible. This asana is called the “Butterfly” because your legs should create a shape that resembles two wings. Hold your ankles with your palms and keep your heels near the hips. Inhale slowly and then, while you exhale, fold your upper body forward. You should maintain this pose for at least five deep breaths. This is another yoga pose that opens the lungs. Lie on your back and comfortably place both arms parallel with your torso. Bend your knees and push your heels closer to your buttocks to align your feet with your knees. Take a deep breath and exhale while lifting your tailbone off the mat. Thighs should remain parallel with the floor. While holding this position, press the shoulders against the mat and open your chest. Hold the pose for at least 30 seconds. When the pose is done, you can exhale slowly and bring your lower spine back on the mat. Extra tip: combine yoga sequences with meditation and breathing exercises to achieve the best results and relieve asthma symptoms. If you practice the above yoga sequence on a daily basis, you will reduce asthma symptoms considerably. Yoga will help you take control over your body, which will lead to a more joyful life. Yoga is not a simple exercise or activity. It is a way of life! Namaste! If you are one of those people who follow celebrity news, then you may know just how much celebrities face on a daily basis. Somehow, people expect them to look their best at every moment of the day. While this may not be a realistic expectation, there are those who try to do their fair share and keep up. In recent years, yoga has become a favorite of many well-known individuals seeking to stay healthy. Here are five well known celebrities that you may not know practice yoga. 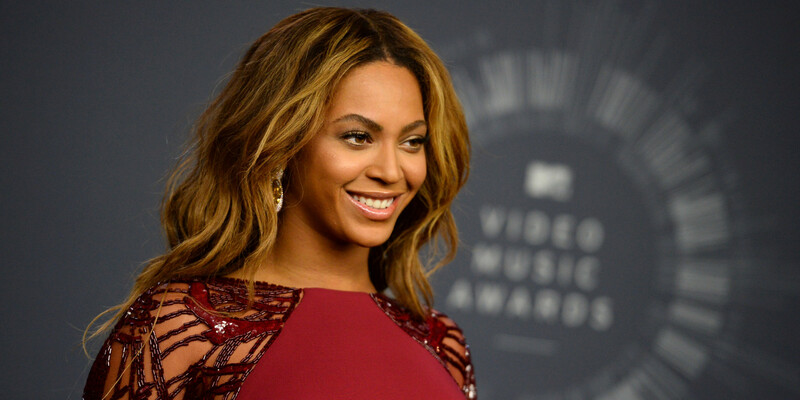 Many people know Beyoncé through her music career. However, she is also an actor, songwriter, and entrepreneur. Throughout her music career, she has been nominated for 22 Grammy awards, and she is the most nominated woman in music award history to date. In 2014, she became recognized as the highest-paid black musician in history. She has also appeared in Time Magazine’s most influential people two years in a row. Keeping up with such fame and glamour requires more than passion. She understands that she also has to look after herself and stay healthy. In many interviews, she has cited yoga as one of the ways she does this. In appreciation of yoga’s contribution to her life, she has even released her own line of active wear apparel known as Ivy Park. It includes different types of yoga wear. Drew is a model, producer, and American actress. 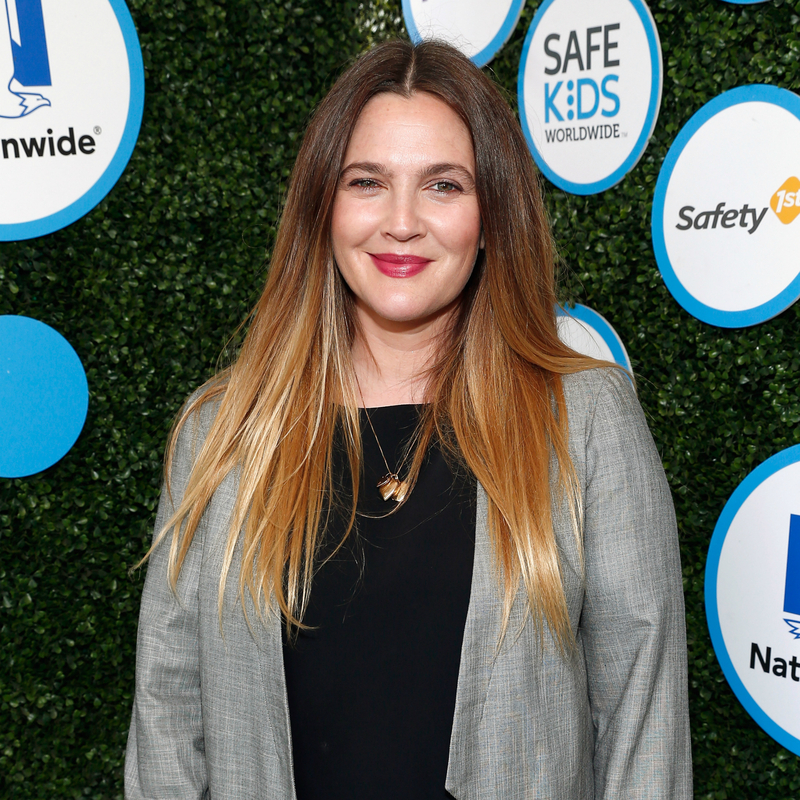 She has starred in various films including Charlie Angels (2000), Going the Distance (2010), Grey Gardens (2009), and Miss You Already (2015). According to Drew, joining was the hardest part of her experience in yoga. However, since then, she has had a smooth sail. She is now a regular in Core Power Yoga studio in Hollywood. She seems to enjoy her experience, and even posts selfie of herself practicing on a regular basis. This man is best known for his role as Tony Stark in Iron Man, the Marvel Comics films. However, he has appeared in numerous other films including Sherlock Holmes in (2009) and its 2011 sequel. However, Robert did not always have his life together. Before the year 2000, he struggled with drug abuse and tested positive for the same in 2003. Robert says that he has been drug free since and that yoga has played a major role in sobriety. Refaeli is a well-known media personality and for a good reason. She is considered the most internationally successful Israeli model and one of the highest paid in her home country. She has also been the host of The X Factor Israel since 2013. She is also a television host, a model, and a business woman. A quick internet search will show you that yoga is part of her morning routine. She has emulated many other celebrities taking up yoga as a daily health practice. According to her, there is no better way to start a day than with yoga practice. 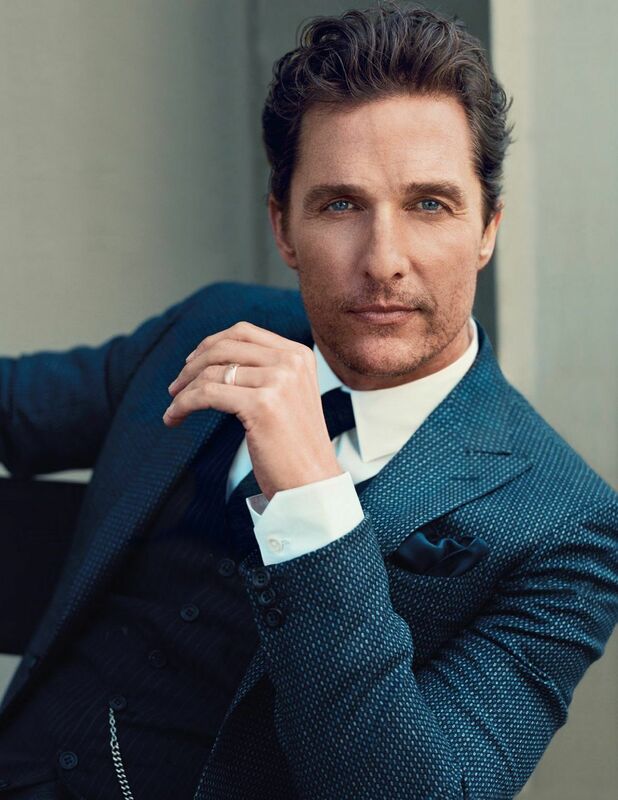 McConaughey is best known for starring in romance comedies, including Failure to Launch (2006), and Ghost of Girlfriends Past (2009). He embraces yoga as an important part of his life and a cornerstone of his fit physique. Yoga and essential oils work wonderfully together. Oils can be used before the actual practice and during the cleaning after it. Yoga and oils together are a power-duo that supports both the mind and body. They are not only beneficial but also taste and smell amazing! Before practice, drink 1-2 ounces of Ningxia Red. Ningxia Red is a powerful drink that is filled with energy and it is amazing for overall body wellness. Lemon Vitality oil can be added to the Ningxia Red not only for taste but also as a dietary supplement and body cleanser. Staying hydrated is extremely important to have a safe and beneficial practice. A large water bottle should always be kept close to the mat. Uplifting oils such as Lime Vitality oil and Peppermint Vitality oil can be added to water for not only taste but also added benefits. Lime Vitality oil is great for supporting a healthy immune system and can also aid in weight management. 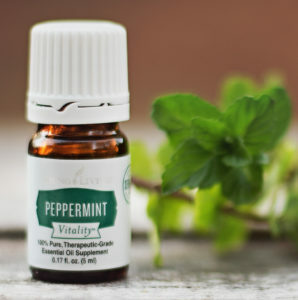 Peppermint Vitality oil is a powerhouse for digestion support and also helps clear the airway to achieve deeper breaths throughout practice. Deeper breaths mean deeper poses! Not only are oils beneficial to take internally but they are also beneficial when diffused. 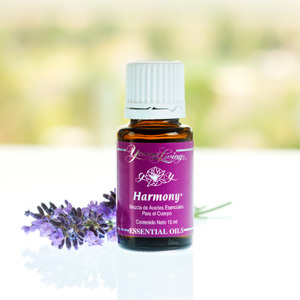 Diffusing oils such as Lavender, Orange, Stress Away, and Believe can set the perfect mood for practice. 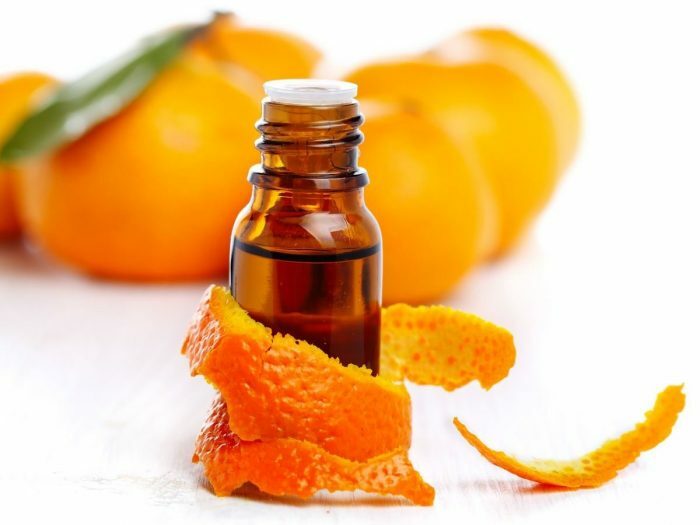 More energizing oils such as Orange should be used during morning practices to awaken the mind, while more soothing oils such as Lavender should be used during bedtime practices to help wind down the mind and body. Oils can also be applied topically to aid practice. Oils such as Grounding and Harmony can be applied to the bottom of the feet to give not only a relaxing feeling but also to help stabilize the mind. Peace and Calming can also be applied behind the ears to bring ease to the practice. Breathing is crucial for a successful yoga practice. 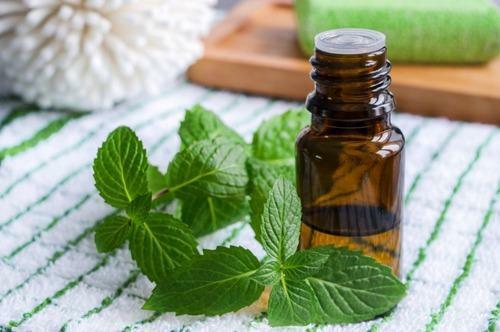 Oils such as Breathe Again, Peppermint, and Spearmint aid the respiratory system beautifully. These oils can be diffused or placed in the hand and inhaled using Ujjayi breathing in order to reap their airway clearing benefits. A clear airway can aid in getting in and maintaining the most difficult of poses. After practice, sore muscles can be eased with oils such as Deep Relief, PanAway, and Copaiba. These oils can be diluted with a carrier oil and applied directly to sore muscles or a few drops can be added to a hot bath with Epsom Salts to create a relaxing and relieving post yoga bath. Giving attention and support to sore muscles is helpful to keeping yoga practices constant and going deeper into stretches. It’s much easier to get back on the mat with soothed muscles rather than stiff and aching ones. Yoga mats can get pretty disgusting after a strenuous practice. Keeping yoga mats clean is crucial to staying healthy but also using non-toxic cleaners is important. Lavender, salt, Witch Hazel, Tea Tree Oil and distilled water can all be added to a spray bottle to create a wonderful smelling, toxic-free mat cleanser. Yoga is such a beneficial addition to anyone’s daily routine. It brings clearness and strength to both the mind and the body. 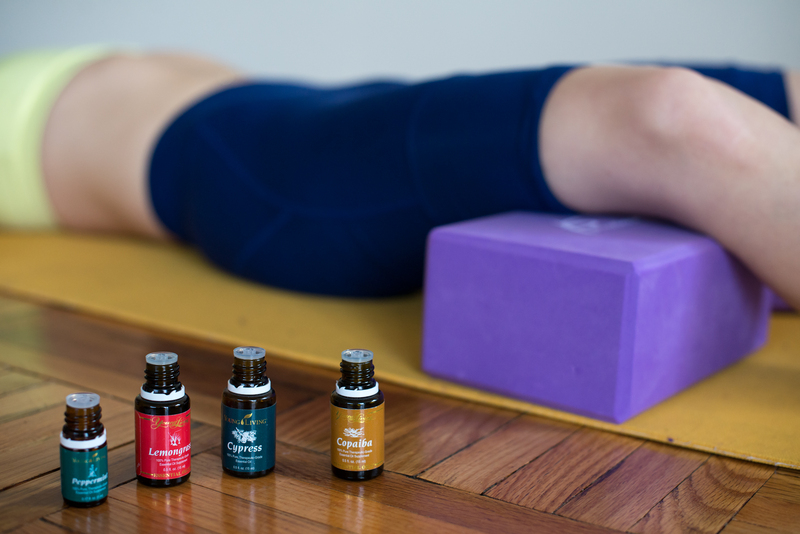 The addition of essential oils to yoga creates a powerhouse team that creates a healthier and more beneficial environment both inside and out. Acroyoga is a combination of yoga and acrobatics. Yoga is a big part of many people’s lives, but acrobatics tends to be left to the professionals. When you think of acrobatics, your mind usually wonders to the circus where people are flying aimlessly through the air. These are acrobats, but there are acrobats that are not part of circus and usually hang out at parks or yoga studios. Acroyoga intertwines traditional yoga with the energetic nature of acrobatics to create a fun and inventive way to exercise. There are three roles in Acroyoga: the base, the flyer, and the spotter. The base is the foundation. They stay in complete contact with the ground throughout the entire practice. The base typically lies flat on their back to create a sturdy foundation. Their job is to keep the flyer stable and supported off the ground. The base usually contacts the flyer with their feet and hands. The feet generally touch the flyers hips, groins, and lower abdomen while the hands are used as handholds or grasps the flyers ankles and shoulders. The flyer is held off the ground by the base. The flyer must have a strong core and balance to be able to perform poses. The flyer moves through a series of poses while the base assists in keeping them off the ground. The spotter is responsible for keeping the base and flyer safe. They critique poses to improve form and insure safety. They also are there to make sure that the flyer lands safely in each pose and even will help catch them if they begin to fall. The spotter may not be a physical part of the poses, but they are crucial to bring safety into the practice. There are several elements involved in Acroyoga, such as: static poses, acrobatic flying, pops, and sometimes even massage. Static poses: During these poses the flyer rests in a still position. There is no movement in these poses but the flyer and base must show strength and balance to hold their form. This is where the true test of strength lies during an Acroyoga session. Acrobatic flying: This is how the flyer transitions from one static pose to the next. Traditionally, the flyer will start and finish in the same pose. This is known as a “washing machine”. Pops: These are small jumps that help the flyer transitions. The flyer momentarily flies through the air while keeping contact with the bases hands. Some more advanced Acroyogis perform pops with no contact with the base. Massage: Some Acroyogis incorporate massage into their practice. This is where the base will hold the flyer in a position so that the bases hands are free. This allows them to massage the flyers body. This brings a new level of relaxation to the practice and bonds the base and flyer closer together. Acroyoga is not only a blast, but it also packs in a whole bunch of benefits. Yoga is typically a solo act, but because Acroyoga requires a partner it helps to build team work and trust. Along with creating a stronger bond, the flyer and base both develop their strength and flexibility. 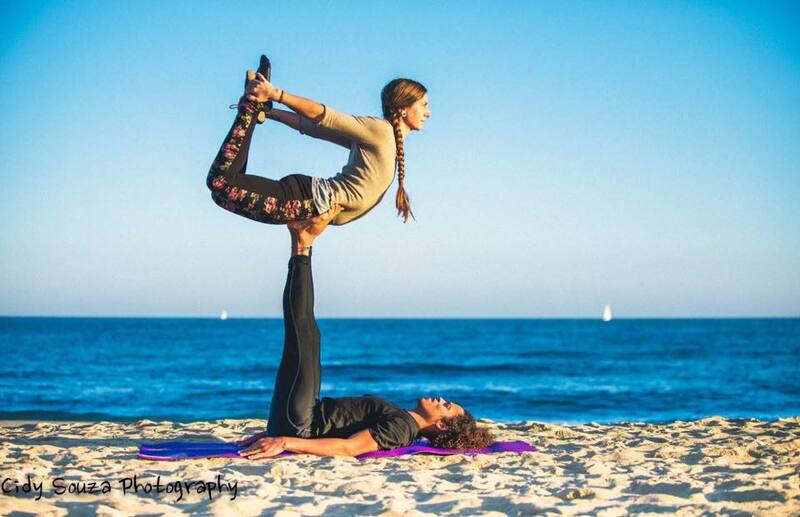 Acroyoga also improves the flyer, bases, and spotter’s concentration because they have to pay more attention to their poses in order to achieve a safe practice. This kind of yoga might not be for everyone but it is for those that want to bring teamwork and acrobatics into their yoga practice. If it interests you, go for it!